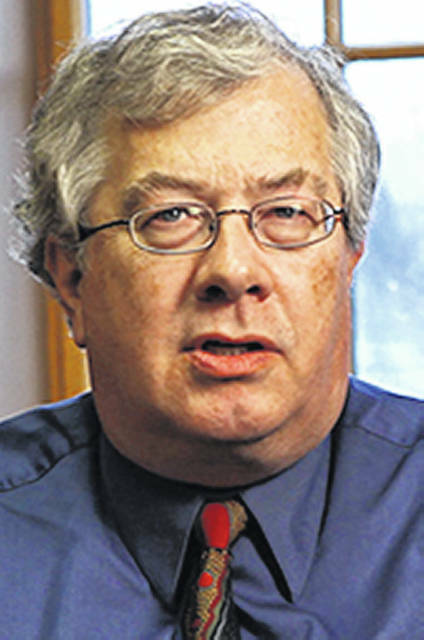 SIDNEY — Dr. Roy E. Finkenbine will speak about the underground railroad Friday, March 22, at 1 p.m. in the Community Room of the Amos Memorial Public Library, 230 E. North St. He is professor of history and cochairman of the History Department at the University of Detroit Mercy. The underground railroad has been called America’s first civil rights movement. A secret and illegal network of individuals, families, churches and communities across the free states of the North, it aided freedom-seekers to escape from slavery in the South to places of relative safety, including Canada. In western Ohio, this was a tri-racial network, involving white settlers, African American communities like Rumley and Native Americans like the Shawnee at Wapakoneta. Moved by religious faith, humanitarian concern and personal experience, workers on the underground railroad assisted thousands of runaway slaves in reaching freedom. Finkenbine teaches courses in African American history, modern Africa, slave resistance, the Civil War era and the underground railroad, and serves as director of the Black Abolitionist Archive. He received a Doctor of Philosophy from Bowling Green State University in 1982 and joined the Detroit Mercy faculty in 1996. While on the editorial staff of the Black Abolitionist Papers Project at Florida State University in the 1980s and 1990s, he co-edited the five-volume “Black Abolitionist Papers, 1830-1865” and “Witness for Freedom: African American Voices on Race, Slavery, and Emancipation.” He is also the author of “Sources of the African-American Past,” as well as a dozen articles and book chapters on the black abolitionists and the underground railroad. He has consulted on museum exhibits, documentary films and television programs on aspects of African American history. His work has been mentioned in Time, Atlantic, the Washington Post, and USA Today, as well as on National Public Radio. The program is free and open to the public. For information, call 492-8354.